Tires, Tires, Tires – The Home of My "Big Things"
Tires, doctor Tires, Tires walks the walk and talks the talk. Outside their store on East Omaha Street in Rapid City, SD stands this tireman. Just the statement needed from a store that sells tires exclusively. 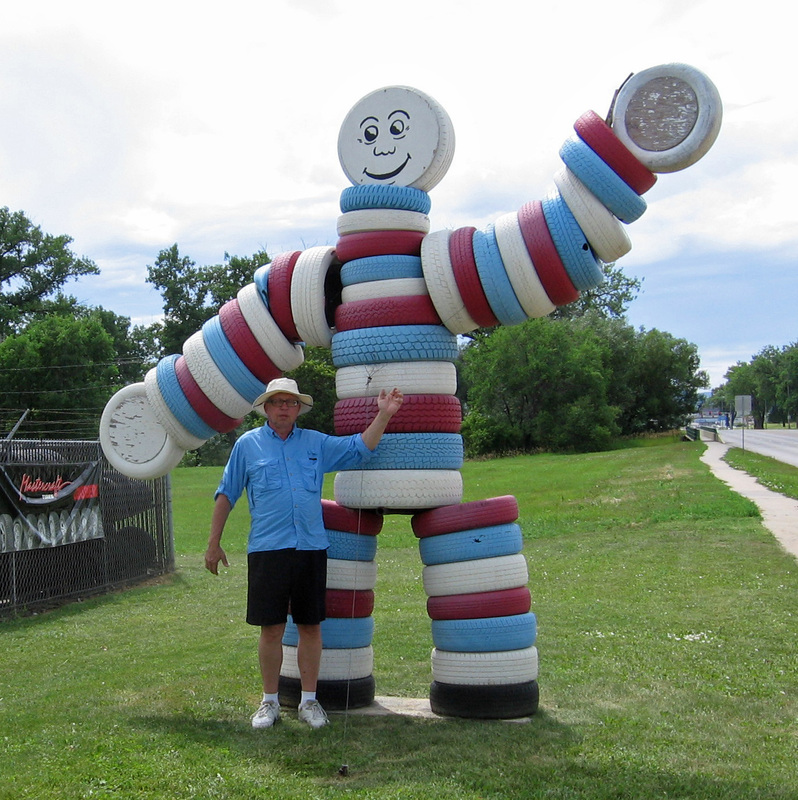 There is another big tire man in Sioux City that I know about but it is not nearly as colorful or well mannered as this example. BTW, stop in for a sandwich and a malt beverage at Firehouse Brewery.